Footballer Luyande Ntshangase has died in hospital after being struck by lightning during a friendly match in South Africa, his club have announced. The Maritzburg United striker, 21, was put into an induced coma after being one of three players to be hit during the match in KwaZulu-Natal on 1st March. The bolt left the other two players with only minor injuries, however Ntshangase suffered burns to his chest, South African media report. 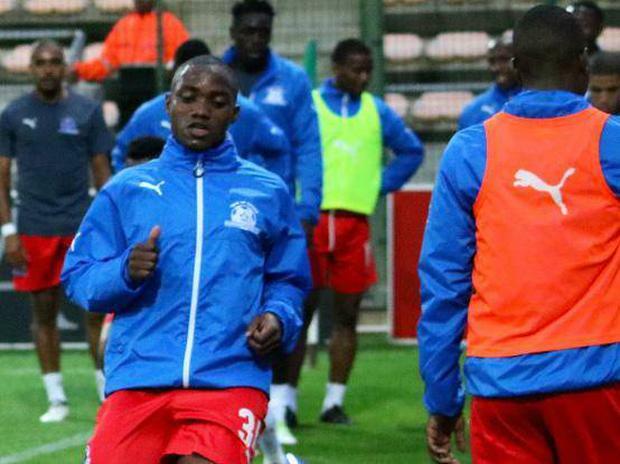 Maritzburg United confirmed the striker's untimely passing in a club statement on Facebook, saying they had lost a player with "enormous potential". "We are extremely sad about the loss of Luyanda, an exciting young player with enormous potential," club chairman Farook Kadodia said. "He had been nurtured by the club and brought through our ranks, having being given his debut against Kaizer Chiefs two seasons ago by former head coach Ernst Middendorp." He added: "On behalf of Maritzburg United Football club, we would like to extend our heartfelt condolences to the Ntshangase family in their time of bereavement - our prayers and thoughts are with you." The player's death is the third tragedy to hit Maritzburg United in recent years, after midfielders Mondli Cele, 27, and Mlondi Dlamini, 20, both died in separate car accidents in 2016 and 2017 respectively. The club are currently fourth in the South African Premier League. They have also reached the domestic cup final on 19th May, where they will face Free State Stars.